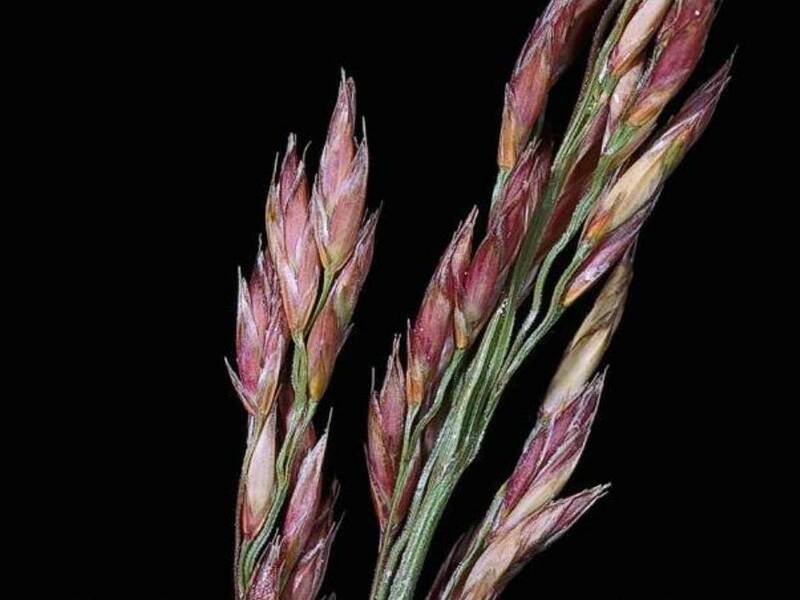 Festuca arundinacea (tall fescue) is a perennial grass with coarse foliage (family Poaceae) found throughout California except in the Great Basin and deserts. It favors sites with heavy soil, including grassland, coastal scrub, roadsides, ditches and other disturbed sites. Tall fescue is commonly planted for turf and hay or erosion control, but it has escaped cultivation and invaded wild areas. After tall fescue plants die, their leaves fall to the ground and create a thick thatch which prevents native plant seeds from germinating. Bugwood - National database from the Center for Invasive Species and Ecosystem Health at the University of Georgia.